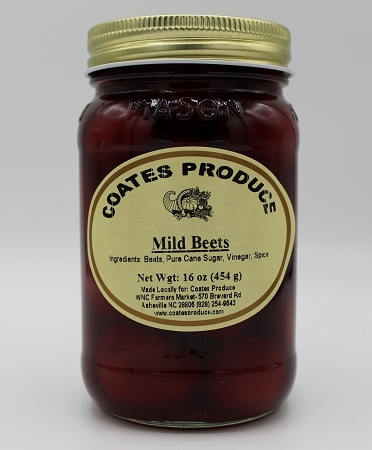 Mild Pickled Beets are great right out of the jar or with your pintos, and cornbread. Either way you're gonna love them. Ingredients: beets, pure cane sugar, vinegar, spice.